This high poly detailed model is build very near to scale and is within a couple of percent of the actual dimensions. It has a detailed cockpit and a lot of detail on the exterior. 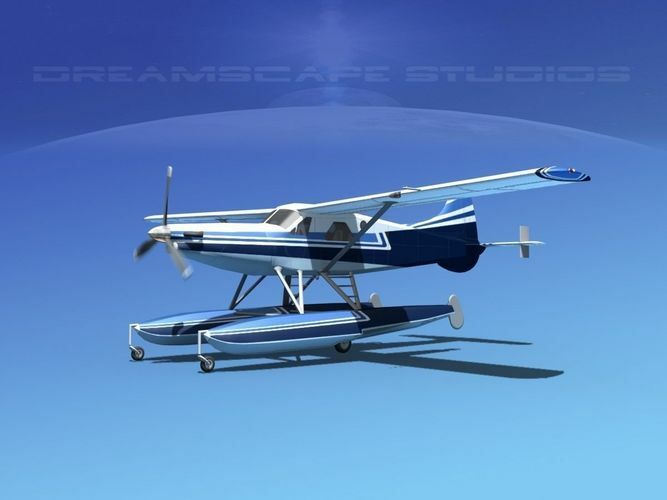 It is built with animateable features including ailerons, elevators, flaps, rudder, landing gear retract, and animated propeller. The controls in the cockpit can be animated also. The model has many high res textures and materials. This model was built for the use in visualizations, animation and video in mind. The Dehavilland DHC-2 was designed for use in areas with rugged terrain and remote fields. It was designed to provide access to families and others in remote wilderness areas to bring in supplies, materials and tools, parts or medicine. These aircraft also served as ambulances for transporting these wilderness dwellers out of the remote village or cabin to a doctor in another region. The Beaver was built as a reciprocating airplane after the end of the war. Later in its career many have been converted into STOL (Short Takeoff and Landing) aircraft by adding a turboprop engine. These aircraft are in great demand even today more than 60 years after production of the Beavers stopped.